Every morning, the Lotus pushes its way up through the mud, to bloom again as fresh and pure as the day before, its flower held high above the waterline. At night, the Lotus closes and sinks under the water, until it emerges again in the light of a new day. Its stem is flexible but strong; its petals, delicate and beautiful. Made from 925 Sterling Silver with Rose Gold Plating. 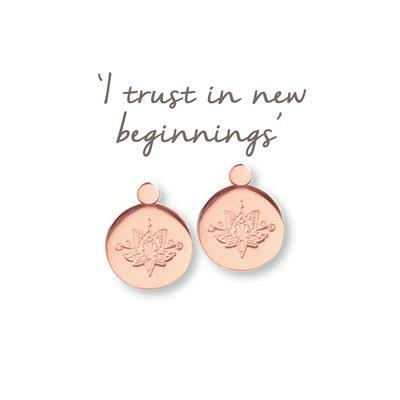 Packaging: These earrings are packaged in a Mantra box with their meaning card.